Movmnt Magazine presents the second season of iVAN an online miniseries hosted by So You Think You Can Dance alumn, and Hip-Hop dancer/choreographer, Ivan Koumaev. i-VISION, i-ANALYZE, i-NETWORK behind the scenes of America’s Best Dance Crew Season 3. In this first episode of the second season, Ivan encounters with Judge Lil Mama and the one and only Randy Jackson. We then follow Ivan’s step at the hotel where the crews stay, for a little clogging session with Dynamic Edition. 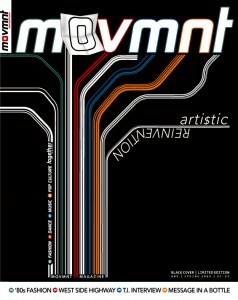 Ivan Koumaev hosts for a second season Movmnt’s Magazine’s Coverage of Dance TV Shows. After So You Think You Can Dance in 2008, Ivan goes in a quest to find the best crews of the moment following the 3rd Opus of Randy Jackson’s ABDC on MTV.